Kevlar / Balsa / GRP construction. Originally Jenny III based in Singapore, she was a Kings Cup winner in 1994, and has picked up numerous other pots over the years. Purchased by her current owner in 2007 she was re fitted / re built in 2008 at a cost of around 100,000 US$, including a new engine, which has hardly been used since. After the rebuild she was valued for insurance at 165,000 US$. 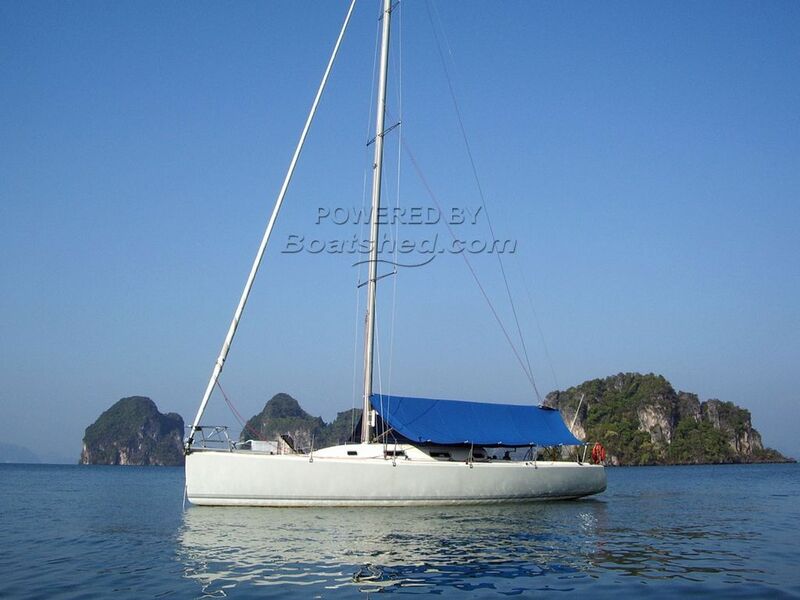 This Bashford & Howison BH 41 Sloop has been personally photographed and viewed by Alan Giles of Boatshed Phuket. Click here for contact details.